We collect information about you - the buyer and about the recipient trough the forms filled in on our website. Information are collected only for delivery purposes, we will not share or sell your information to anyone except our employees or the delivery company. We will not use your email address for SPAM, and we will not share or sell your email address. We will call on your phone number or the recipient phone number only if there is a issue with the delivery. We may have to share the phone number with the delivery agent or delivery company to ensure delivery of your gift. You have the option of sending the gift anonymous, in this case we will not print,say or reveal your name or phone number to the recipient. We do not receive or record any information about your credit or debit card. 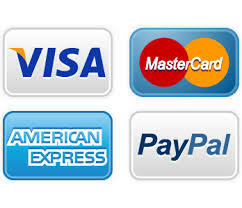 All card information are only sent using the payment processor SSL secure connection.